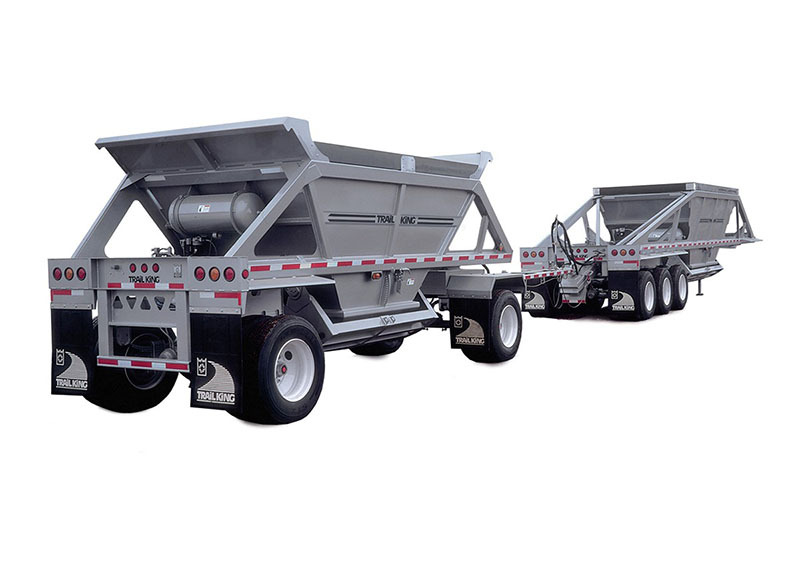 Bottom Dump - Clam Dump Trailers - Kingpin Trailers LTD.
both front and rear, are sloped to shed material more effectively. at gate pivot pins ensure smooth operation, long life and simplified replacement. 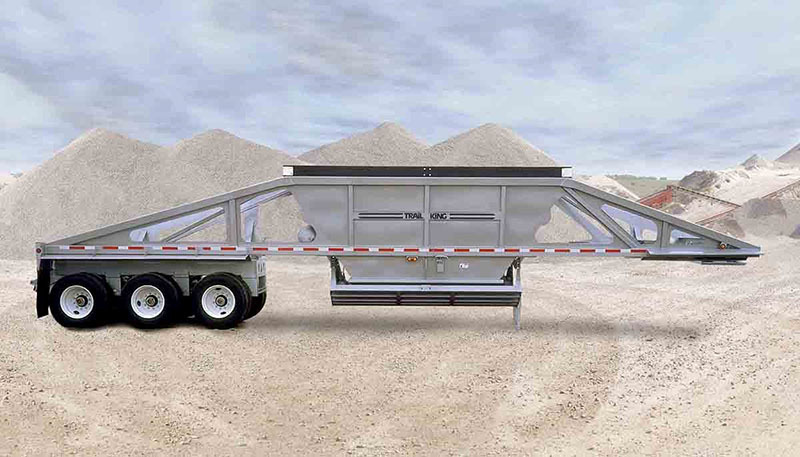 of the hopper and frame provides optimum strength and maximum weight savings. tie the frame together in a way that minimizes the flexing and twisting that can cause cracking in critical stress areas. and 64″ x 99″ hopper opening, combined with nearly vertical hopper walls, delivers complete dumping of even the stickiest materials. features a spherical, chrome-bushed design that reduces wear and provides longer service life than a shaft and bushing design. with air system oiler, means longer operating time and better control. 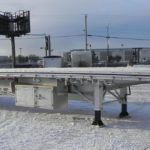 is conveniently positioned on the side of the hopper so the gate setting can be adjusted without crawling under the trailer. on the ends of the gate equalizer arms reduce wear and ensure long, trouble-free service life. 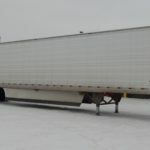 16 – 1/2″ air brakes. 8.25 x 22.5 steel disc wheels (hub piloted). 11 R 22.5 steel disc wheels (F). 100,000/80,000 psi high yield steel unitized frame construction. Bolt-on push block/bumper. Rubber-mounted sealed beam lights and sealed harness system. Electrical system per DOT regulations. Red & white conspicuity markings. 8″ air cylinders. Open/close gate control from cab—versa valve with handle. 20′ to 48′ overall length. 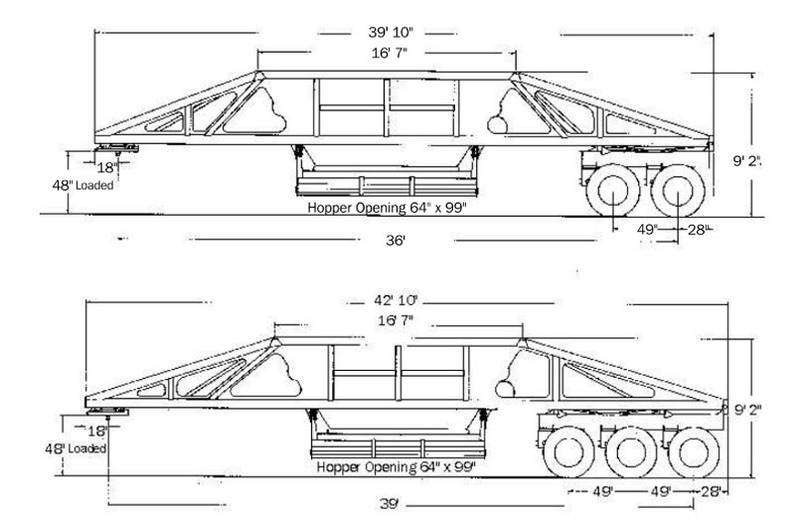 Sloped cover front and rear. Capacity 22 cu. yds. 22 cu. yds. 22 cu. yds. 22 cu. yds. Empty weight 12,600 lbs. 12,200 lbs. 14,600 lbs. 14,900 lbs.